Data is at the heart of creating a smarter and more flexible energy system. Data generated by smart meters can be used to inform the planning and operation of the grid, and to empower consumers to reduce and understand energy use. Third parties with permission to access an individual’s data can offer services, such as advice on switching to a different supplier or services that link smart meter data with other types of data. The smart meter communications infrastructure provides the means of accessing smart meter data. All energy suppliers, network operators and other organisations wishing to use this data become a party to the Smart Energy Code, which sets out their rights and obligations, including security and privacy obligations. Consumers can decide how their data is used. Sharing smart meter and other sources of data with energy suppliers, network operators and third parties in a controlled way. Energy consumption data, and in future, data generated by other smart devices will be used to reduce energy use and create a smart grid. The business case is based on cost-benefit analysis for the various stakeholders, including consumers, energy suppliers and network operators. Technology provides a communications infrastructure and mechanisms for accessing data in a controlled and secure way. The project is a partnership between the energy industry, government, the energy regulator and the Data Communications Company (DCC). DCC works with service providers and is responsible for the delivery and operation of the smart meter infrastructure. Constraints include GDPR, regulatory duties of energy suppliers and others and acceptability by consumers. Smart devices connected into a communications infrastructure to allow controlled access to data generated by devices. The Smart Energy Code (SEC) sets out the rights and obligations of those involved at an industry level. Security and privacy obligations exist for DCC users. Companies can access half-hour data only with the permission of the consumer. Existing electricity and gas meters in consumers’ homes are being replaced with smart metering equipment as part of a national roll-out. The roll-out is being led by energy suppliers, who are required by their licence to take all reasonable steps to provide smart meters to all of their domestic and small business customers by the end of 2020. Smart metering equipment typically comprises a smart electricity meter, a smart gas meter and a communications hub, alongside an in-home display that allows consumers to see what energy they are using and how much it costs. As well as providing a link between the smart meter and in-home display, the communications hub provides a link to the telecommunications networks that allow information to be exchanged between smart meters and organisations that use the data. These include competing energy suppliers, energy network operators and other authorised parties, such as third party intermediaries that offer services around energy saving, switching suppliers or load shifting and demand-side response. The design of the communications infrastructure enables access to any piece of data by any party, subject to consumer authorisation, except for sensitive data such as security information. The national infrastructure has been built by Smart DCC Ltd, following a tendering process for the Smart Meter Communication Licence, which is regulated by Ofgem. Data generated by smart meter readings benefits the various organisations in differing ways. Smart meter readings will automatically be sent to energy suppliers to allow them to generate accurate energy bills, and to inform settlements for the purposes of balancing national energy demand. Network operators use data about the energy system to investigate quality issues in relation to the network and determine outages at particular properties. Operational data helps them to manage networks better. Aggregators sell surplus energy back to the grid, or export energy from microgenerators such as solar panels. Other parties might provide optimisation services, such as advising a customer on how they can manage demand against a tariff in order to lower costs, or whether to switch suppliers. Other third parties might provide bundled services to customers based on linking energy and other home services data. The data allows usage habits of customers to be determined, where permitted; these may vary according to whether a property is occupied throughout the day, for example. Smart meters also support two-way communication and provide an interactive capability for energy suppliers, who can automate switching the supply on and off. The ability for energy suppliers to access data at any time, rather than at certain times when manual readings are done, represents a large shift. 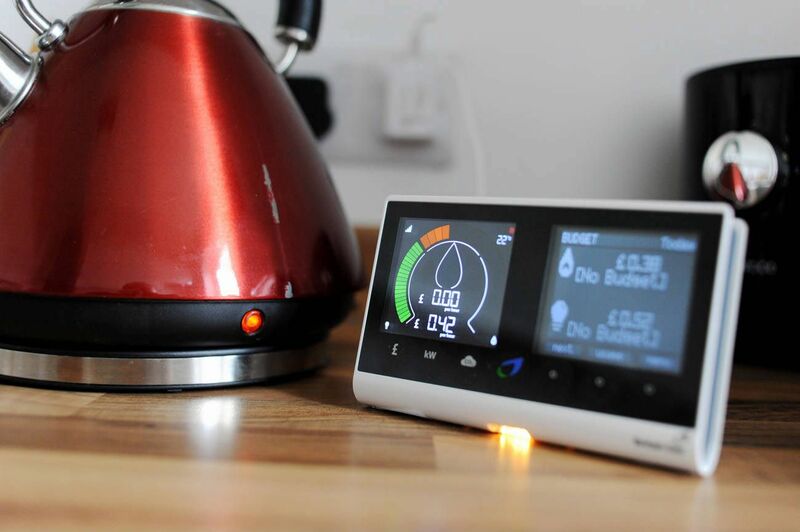 Energy suppliers can use data from smart meters to record electricity use every half hour, which provides a more accurate picture of consumption and demand. This enables them to match their energy purchases more accurately and to bill customers based on the cost of generating and supplying the electricity they use. Currently, energy suppliers cannot buy energy in half-hour quantities, but in future it should be possible. In future, in addition to smart meters, electric vehicles or other types of smart device such as smart appliances could be connected to the smart meter infrastructure, broadening the types of data generated and the uses to which data transmitted via the infrastructure can applied. Future expansion of the infrastructure would enable others, such as water companies, to improve their metering. Smart metering equipment could potentially be used to collect property information, such as temperature or humidity measurements, to spot where there are health risks to vulnerable people. The government’s impact assessments have identified the key monetised and non-monetised benefits for the main stakeholders. Consumers benefit from energy savings through enhanced energy efficiency behaviour. In future, consumers may be able to measure the electricity generated by microgeneration. Energy suppliers will make a range of operational cost savings by removing the need for site visits to take meter readings and improving business efficiency. Future business benefits include time-of-use tariffs. Network operators will be able to improve electricity outage management and resolve any network failures more efficiently once a critical mass of smart meters has been rolled out. A major cost is the metering equipment including its installation, operation and maintenance, which will be borne by energy suppliers. Other upfront costs include supporting IT systems and the DCC’s operations. Industry participants will also need to upgrade their systems to integrate into the smart meter network. The government estimates that the expected net benefit across both domestic and non-domestic sectors will be £6.2 billion, although there are some uncertainties around the scale of benefits. The main role of the DCC is to provide the infrastructure that enables communications between smart devices and DCC users. The DCC user sends a service request, and receives back a service response or alert. The service request might update the tariff held on a gas or electricity meter, display messages to a customer or read measurements of energy use at a specified frequency. Data is passed from the device to the user in the form of an encrypted packet, to which only authorised users have access. The data is not stored, analysed or accessed by the DCC. There is a strict security framework since the infrastructure is part of critical national infrastructure. Smart meters are to some extent limited in the data that they can send; for example, they are unable to stream high-frequency real-time data. They are more suited to sending smaller quantities of data. DCC users need to create their own systems to deal with the storage and analysis of data. The advent of half-hourly measurements potentially greatly increases the volumes of data available. Energy suppliers have always had to deal with large volumes of data; for example, EDF Energy have been receiving half-hourly data for 100,000 customers who require above 100kWH. In the future, 27 million EDF customers will potentially be providing half-hourly data from smart meters. The necessary systems to support billing and tariffs need to be in place to support this volume of data. In addition, smart meters generate data through alerts that might identify tampering or outages. Analytics are applied to filter out insignificant alerts. Other safety related alerts, such as a gas leakage spotted through a gas meter, require quick identification and a rapid response. All energy suppliers, network operators and other organisations wishing to access smart meter data become a party to the SEC, which sets out the rights and obligations of those involved at an industry level. The SEC is overseen by the a panel whose membership represents the interests of large and smaller suppliers, electricity and gas network organisations, other SEC parties and organisations representing citizens. The SEC makes sure the infrastructure is working well and ensures that any changes do not cause disruption. It also oversees security. Certain organisations within the energy industry, such as domestic energy suppliers and network operators, are obliged through their licence to become DCC users. Others can apply to become DCC users if they would like to access smart meter data. For an energy supplier such as EDF Energy, data is used to fulfil regulatory and legislative duties such as balancing the energy system, generating bills or forecasting energy demand. EDF Energy has internal systems in place that help it to fulfil these duties around data, and monitor how it is used to ensure that the appropriate procedures are being followed. For other uses such as producing a tariff plan or linking up with another energy service, the energy supplier must declare the purpose of the data. Security and privacy obligations exist for DCC users, which require organisations to undertake security and privacy assessments that demonstrate compliance with obligations. Privacy assessments will be all the more vital with the arrival of GDPR; for example, there will be conditions on how long users can hold the data for. Smart meters can store the amount of energy consumers have used in each 30-minute period, but by default, energy suppliers are only able to access daily meter readings unless the consumer has given permission for them to access to more detailed and frequent data. Consumers can decide whether energy suppliers share details about energy consumption with other organisations or use meter readings for sales and marketing purposes.